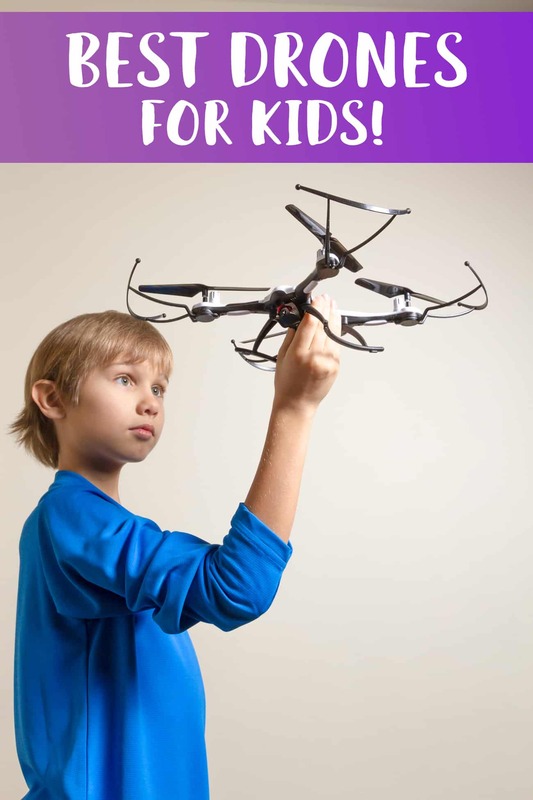 Drones for kids are one of the hottest trends, and every child would love to own one. My son has been begging me for a done for months! We’ve rounded up the best drones for kids (some with camera) to help you choose the best product for your child! To be honest, I wasn’t too keen on the idea of giving my child a drone, but after doing some research I’ve decided to take the plunge and buy a kid-friendly drone for my son. Luckily, you can find some great drones for kids that don’t cost a fortune. 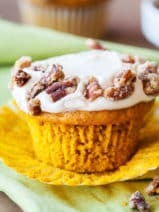 That’s sweet music to this mama’s ears! I do not plan to invest in a premium drone for my 8-year-old. I’m going to start with an entry-level drone that can be flown inside our home and in the yard. This will help me gauge whether or not my son has a genuine interest in drones. 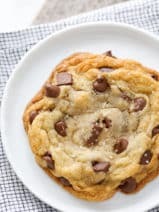 If he loves it and shows me that he can control it and be responsible with it, I will consider buying him a fancier drone that he can use to shoot aerial video. I’m all about buying a reliable product that’s easy on my wallet. After doing all this research over drones for kids, I’ve realized that there are hundreds of options. 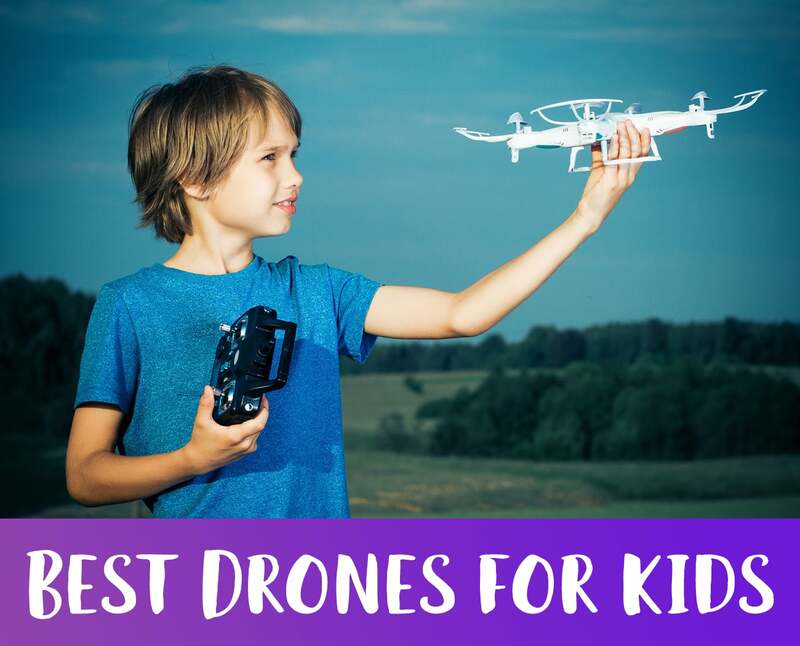 Now, to make your life easier, I am sharing my top picks for the best drones for kids to help you figure out which kids drones are actually the best bang for the dollar. 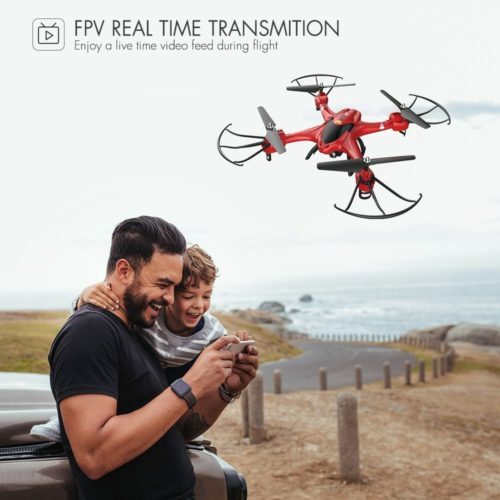 So, before you go and spend hundreds of dollars on what you think the best drones for kids are, please be sure to read through everything in this post to help you make a savvy purchase. Before we get started on product suggestions of a kid-friendly drone for your young one, let’s talk about some key elements on deciding which one is the best purchase: range (distance in flight from the operator), battery (rechargeable or non-rechargeable), flight time, and a couple of other specifications that were going to want to look into. Also, did you land on this page after Googling drones for kids with camera? That’s exactly what I’ve been scouring the internet for, so keep reading to find out which drone with a camera I’m loving for my son. Let’s talk about some of the key factors that you’ll want to keep in mind when purchasing a drone for your child. Each drone has a different range of distance that they can fly from the remote control: not all kid-friendly drones are created equal! Depending on your child’s age, he or she may crash their drones all around in the grass (or trees) when they start taking flight. With this in mind, you may want to consider a shorter range drone so you’re not having to drive miles down the road to locate a missing drone. Plus, the biggest benefit to choosing a shorter range drone is that your kid gets to visually see the drone while they’re flying, and it’s not out of their visual range. We all know that kids are visual little beings that love to see their toys in action. On the other hand, if you have an older child, you may want to invest in a more sophisticated drone so that you don’t need to make any upgrades as your child learns the ropes. A lot of drones for kids come with batteries that you have to purchase for the remote control and/or the drone. Other kid-friendly drones come with a rechargeable base for the drone, and batteries are needed for the remote control. Personally, I don’t want to keep a stockpile of batteries, so I will lean toward a rechargeable unit. Flight time varies from drone to drone, so be sure read through everything to see how long that the drones are able to fly. Most of this has to do with the strength of battery charge. It takes a lot of energy to get those drones for kids up in the air and flying around. I’ve seen drones last for 15 minutes, and other more expensive models were able to last up to 30 minutes or more. Have you ever really looked a drone remote control pad before? It’s almost like a gamepad. There are sticks and buttons all over the place. At first glance, you might think you have to play a game of Call of Duty…without the kill shots. Make sure to take a quick glance at the design of the controls. Is the remote too large or bulky for my child’s hands? Is the remote too sophisticated? Are the controllers so sensitive and my child is going to give up in frustration? I do like the GPS and return back home features on available drones, but these features come with a price tag. When it comes to figuring out which drone is best for your child, you may also want to consider how much involvement you want to have as a parent. Since my son AND my husband are geeking-out over purchasing a drone, we’ll probably get one that is a bit pricier and more sophisticated. Since my husband will be supervising my 8-year-old, this will mean that both of them can enjoy the drone. Eachine makes an amazing kid-friendly drone that your child is going to love to play with. The controller is easy to maneuver, and it will do exactly what your child wants it to do. PLUS it has a One Key Return button (the return home function I discussed), and can do an easy 360 rollover! This is an inexpensive, entry-level drone that will help your child get the feel for flying. 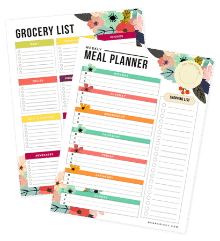 These are fun for indoor use as well, and might a great first purchase to help you decide if you want to buy something more sophisticated later. Luxon put a lot of features into this drone, so don’t let the word “mini” deter you at all! This kid-friendly drone has 40-50 meter reach, flies for up to 8 minutes, and only takes 35 minutes to charge it back up. It’s definitely one of my top choices for kids. What’s even more fun is that if you have several of these drones, you can control them all with one control pad! That would be an amazing thing to do at a birthday party! Again, this is a great starter drone to test the waters before buying a drone with more bells and whistles. I really like the Lifbeier drone. 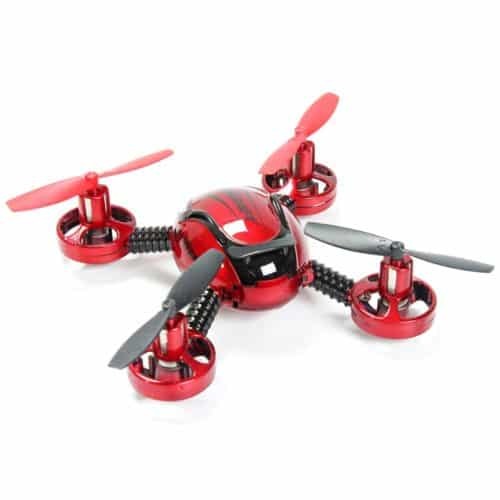 First, it has a super cool shape and caging to it, but it also comes with an extra battery, returns back to the point of lift-off with a click of a button, and it has flashing LED lights if you want your kids to try some night flying fun! When it comes to a drone for kids with camera, Kiitoys designed a perfect and affordable one! Just a small heads up: This is NOT going to be the single most amazing camera with 1080p, but the videos are photos are definitely appealing to your kids. This drone for kids with camera attache packs a big punch for the small price point! 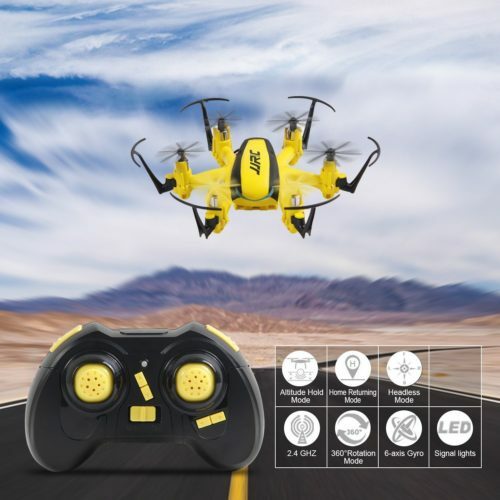 It has a steady flight equalizer, a long range of 150 meters, it’s super easy to control, a 4GB SD card, and it has 5 LED flashing lights or night flying, or trying to find the drone at night. SZJJX is the maker of another great drone for kids with camera attached to the body that syncs up via WiFi for a simultaneous live feed to a smartphone. 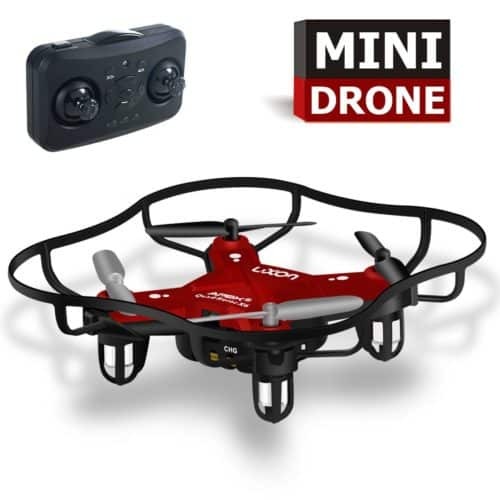 This little drone packs a big punch with a very sensitive CMOS sensor to show high definition videos and photos, and it can be synced to ANY Android or iOS device! That makes it a big winner in my book. Of course, it also has a return to home button and a few other bells and whistles that make it worth the purchase. 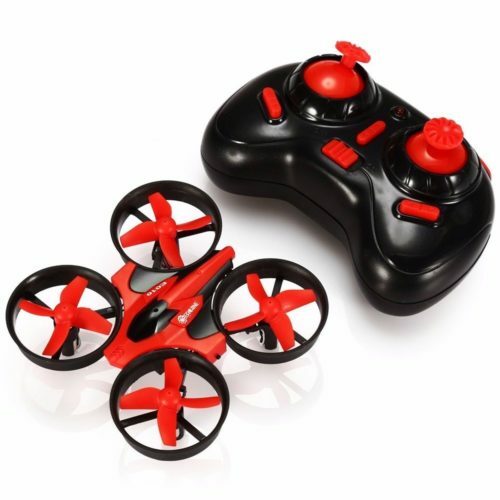 Kids will love learning to take aerial video with this fun drone! 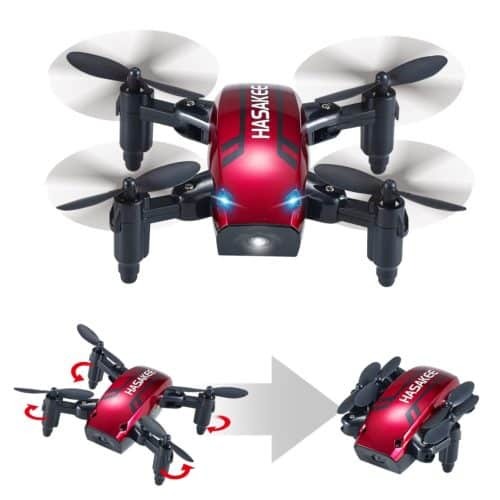 The HASAKEE kid-friendly drone is another amazing device that made it onto my list. 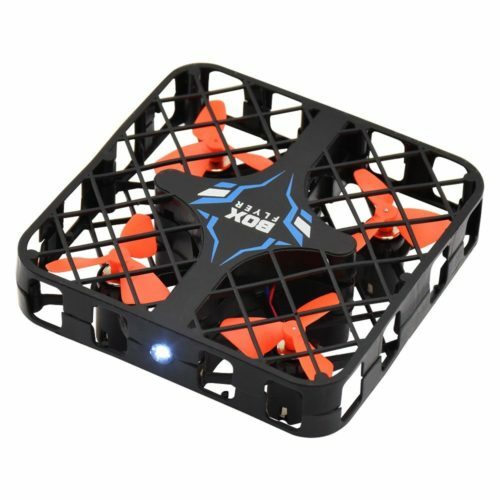 This drone has 3 different speed levels, so it’s a great starter drone for someone that is flying for the first time, as you can use the low-speed option. One of my favorite features the emergency stop function button. If you kid feels that they’re going to lose it, or maybe fly it into a tree or lake, you can hit the emergency stop button to drop it from the sky! What makes this kid-friendly drone even better is that it’s super portable, as the wings fold into the drone! This way it can be stuffed into a pocket or backpack, and you won’t have to worry about bending a wing or breaking a propellor off of it. The SGILE UFO drones for kids has one of the coolest designs for a drone, as it’s in a circular shape to mimic that of a UFO. 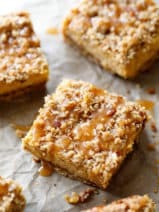 However, just because I like it because of its cool design, doesn’t mean that it has a lot of features to offer to you and your kid. 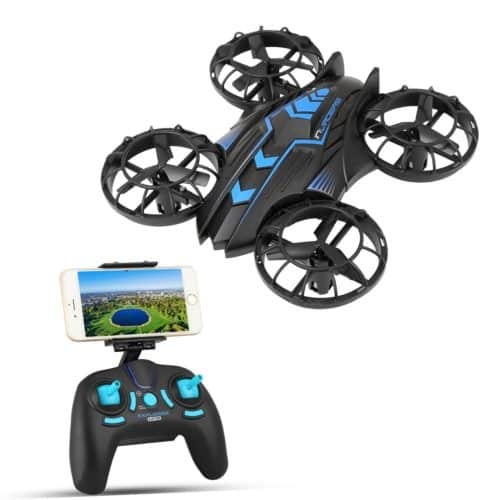 This kid-friendly drone comes with an extra battery (which are rechargeable via any USB port), a home return mode, a flight path distance of 30 meters, and easy to use the remote control for any type of hands, and has 6 minutes of flight time. I don’t mind the 6 minutes of flight time, as it comes with an extra battery to take outside with you and your kid to enjoy the day. The Holy Stone HS200 RC Drone features an FPV HD Wifi Camera Live Feed, 2.4GHz 4CH 6-Axis Gyro Quadcopter with Altitude Hold, Gravity Sensor, and Headless Mode RTF Helicopter. This is a fancier drone that would be great for kids whose parents would also like to have a nicer drone to enjoy! Shoot quality videos of your neighborhood with this amazing little drone! So Many Drones for Kids Options Market! There are lots of different options for drones for kids out there on the market, and these are just some that I thought would be the most enjoyable for young children. You can certainly upgrade to a premium drone if your child shows continued interest in the device! Check back as I’ll be putting together a roundup of the best drones for teens as well as a list of premium drones—coming soon! 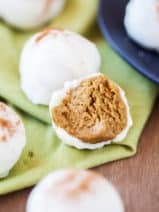 Looking for more fun things to do with your kids? 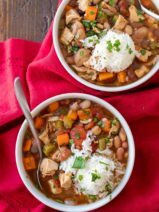 Check out these great riddles for kids!